Do Brands Sweat under Stress? They can give off signals, much like odors, and we can sense that something is amiss. Take American Airlines as an example. They have been under stress in bankruptcy for quite a while. Not only have creditors been worried, but also travelers. So what did they do… they rebranded themselves with a new modern look. In some ways, we all smelled a rat. No, they haven’t really gotten much better… their service is as sparse as other carriers, and their equipment is not significantly better than others. So they put on some new lipstick. Now we know that it was part of a complete, quiet financial re-packaging ending up with a recent merger with US Airways. So their “stress sweat” was apparent. To some extent, this scent should be a signal for investors and creditors alike. Here are some other “scents” that have us concerned. Why is Coke running commercials about obesity? What pressures are they under, and what actions are they taking to mitigate this pressure? Does this mean that they are diverting their attention from their core businesses? We smell more than Coke just doing the right thing. We already know that Research in Motion (known as RIM), the maker of the BlackBerry, has been under pressure for a couple of years about lack of innovation. So, in both a prudent and desperate move, they both introduced the new BlackBerry 10 to help them back into the market, and at the same time renamed the company Blackberry. The tag line they are using is “”One brand, one promise”. It is a “hail Mary” pass, and high risk. Our guess is that they are signaling a last gasp attempt to stay in the mobility market, and it just doesn’t smell right. Investors and consumers, beware. There are also some scents that smell just right. 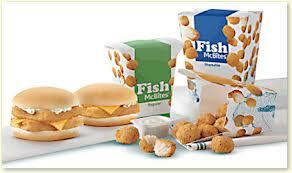 For example, McDonalds introduction of Fish McBites just feels like the right thing for them to be doing. The product (Alaskan Pollock) comes from sustainable fisheries, and apparently it tastes great. So while you’d expect a fishy odor, we smell success. Management and marketers have to carefully think through the implications of their brands giving off signals that indicate extreme stress. Often, these signals communicate significant underlying issues that should concern both investors and consumers.